There’s a credibility problem for the Church when people dress inappropriately for Christian fellowship. Encourage people to change their clothes if they are not dressed properly for Church. A failure to wear the right clothing for Christian fellowship could significantly damage the reputation of your Church. It might even cause people to question the authenticity of the gospel. Stay with me – This is not what you’re expecting. I am not suggesting that we judge others based on outward appearances. People in traditional Church attire could possibly be the least appropriately dressed for true Christian fellowship. Those who opposed Jesus’ earthly ministry were the best dressed of society. They were also the most self-righteous. The ultimate issue is not physical clothing at all. 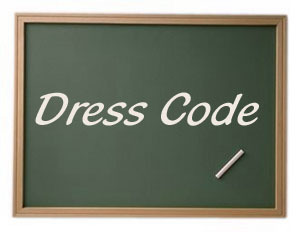 But let’s at least pause to review what we know from Scripture before looking at the dress code itself. Against favoritism based on fine clothing. The urgency of this question cannot be overemphasized. The plausibility and authenticity of the gospel will be deeply compromised if we don’t dress in a way consistent with true Christian community. How does the description of “God’s chosen people, holy and dearly loved” lead to the clothing of “compassion, kindness, humility, gentleness and patience”? Is there a deeper identity issue for those inappropriately dressed? Share this with your leadership team and your entire Church. Emphasize this attire as necessary to gospel-centered community. Study Philippians 2:1-11 in light of this truth (practicing the mind of Christ in community). This entry was posted in Christianity, Church, Church discipline, Church growth, Church Leadership, Church membership, elders in the Church, Emerging Leaders, False Church, Gospel, Gospel-centered, Local Church and tagged How should I dress for church?, modesty for christians, Proper attire for church, Unity in the Church. Bookmark the permalink. 7 Responses to How should I dress for Church? Thanks so much for this entry. Absolutely right on target and refreshing. I visited a church once. A lady greeter at the door informed me “ladies don’t wear pants in this church”. I asked her where the restroom was….I told her I would take them off but I sure hoped ladies wore underwear in that church. She was agast and I obviously never went back there again. The inappropriate attire that doesn’t work is kneeling at the altar with low rise pants on…enough said! I feel you haven’t addressed the issue of the dress code as much. Perhaps by giving examples of women in society that dress modestly despite their status or political position. Such as Michelle Obama, Kate Middleton and the like. They dress with modesty and elegance such that they can enter any church at any time without having to go home and change. A lady in my church once said something that never left my spirit. She said,” If you were to meet Jesus on the street and you requested Him to give you time to go back home and change then you clearly know you’re not dressed right.” I pondered over this and eventually with no gun to my head I changed my style of dressing as God led me. Nowadays I desire to dress modestly and I am respected more by my peers and even those that are older. It took time but I thank God that now I am a changed person thanks to Jesus’ love.